Kieran Nolan carried out his PhD at York University, Toronto Canada, under the supervision of Professor Clifford C. Leznoff. After completing his PhD in 1996 Kieran worked in both the pharmaceutical and packaging industry until 1998 when he joined the NCSR at DCU. In 2001 Kieran became a Lecturer in the School of Chemical Sciences at DCU and Senior Lecturer in 2012. 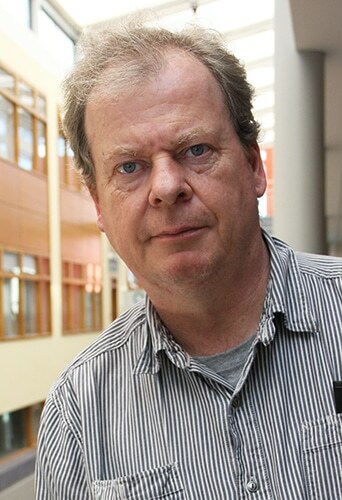 Kieran was a founding member of the DCU UDRI Environtech, that was established in February 2011 and in October 2014, Kieran became the Head of School of Chemical Sciences at DCU. The Nolan research group has been intensively involved in the area of environmental sciences since its inception in 2001. In the past, Dr Nolan’s group has specialized in the development of new chemoreceptors for application in environmental sensing and extraction of heavy metals from waste streams. More recently, the Nolan group has turned its attention to the development of new ‘Green’ synthetic technologies, with particular emphasis on the development of new energy and water efficient microflow photochemical reactors. The Nolan group also specialises in the design and preparation of new photocatalysts and integrated photocatalytic composites such as dye-TiO2, activated carbon- TiO2, Graphene-TiO2 and mineral-graphene composites for application in the removal of pollutants from industrial waste water streams. Dr Nolan has also supervised/co-supervisor 20 PhD students to completion since 2001.